Nelson's History . . . 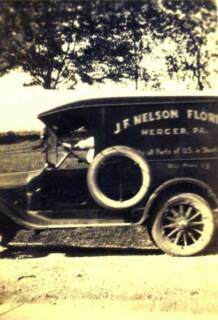 In September of 1919, Joseph and Ethel Sidley Nelson, originally both from Findley Township farm families, came to Mercer Borough with their two young children to purchase a new home. The home was owned by S.P. 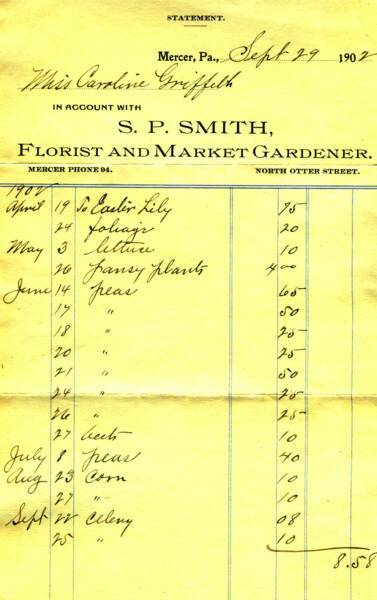 Smith who was in the business of florist and market gardener. 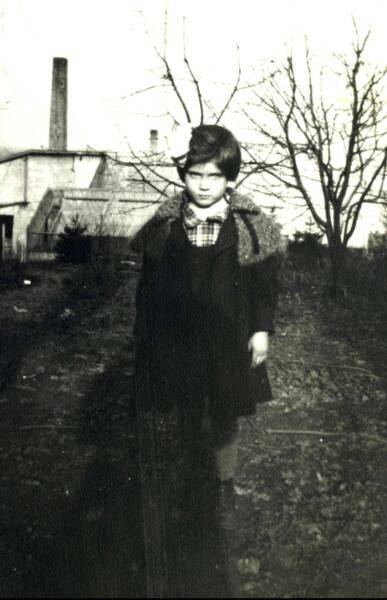 The home on North Otter Street came with seven acres, a greenhouse and a barn. 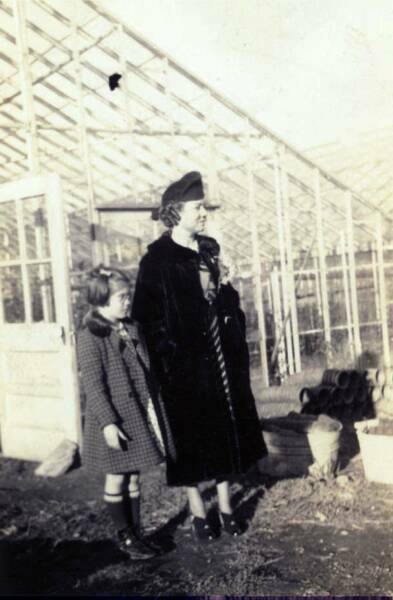 The greenhouse was for growing flowers and starter vegetable plants for the market garden. Mr. Smith's business was established circa 1890. 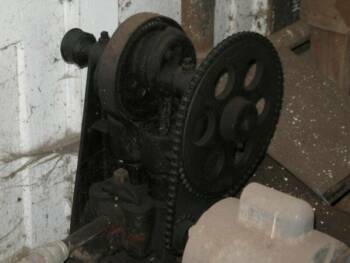 When Joseph and Ethel purchased the property, Joseph was employed at the Carnegie Steel Plant in Farrell, Pennsylvania. He was not intending on using the greenhouse for anything but a sideline garden market. A short time after their property purchase, there was a death in town and a need for funeral flowers. Joseph was called on to fill the flower order. 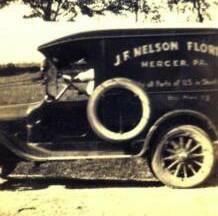 This flower order was the beginning of more business and they were soon so busy that he gave up his Carnegie Steel job. Under the name of J.F. 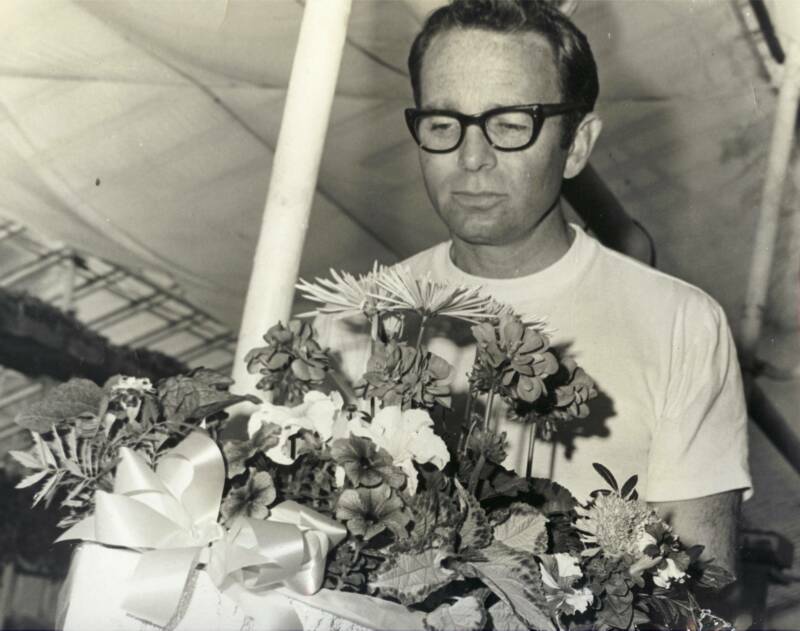 Nelson Flowers and Plants, they grew and sold flowers in the single greenhouse for two years. 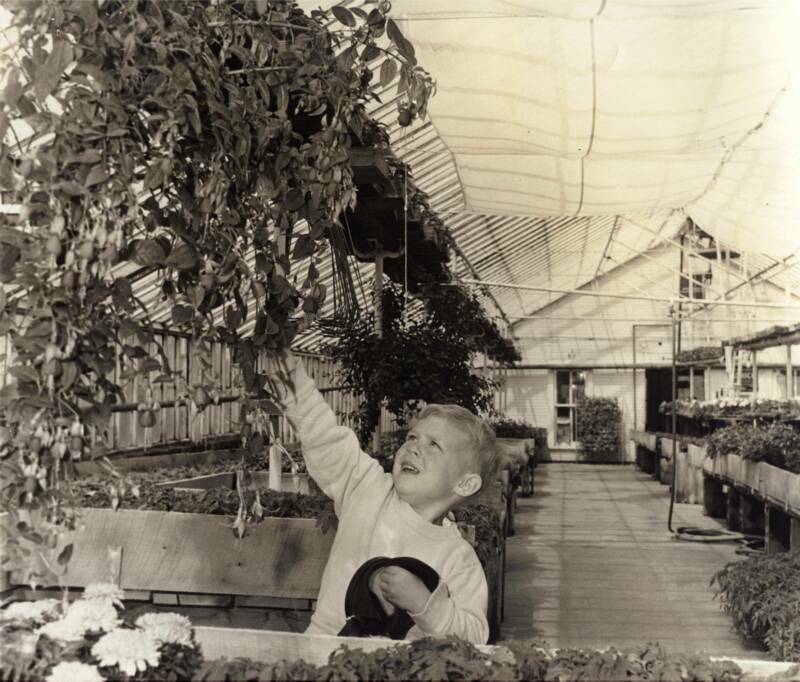 In 1921, it was necessary to raze the old greenhouse and build a new Lord and Burnham greenhouse. 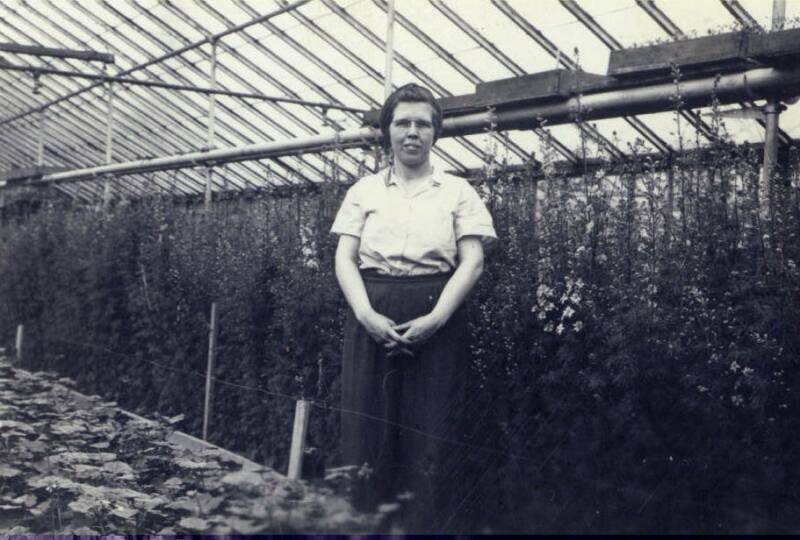 The business continued to grow and it was necessary in 1930 to build two more greenhouses. Business grew over the years and so did Joe and Ethel's family, with seven children, two girls and five boys, life was very busy running the business and rearing a family and running their small farm on the property. 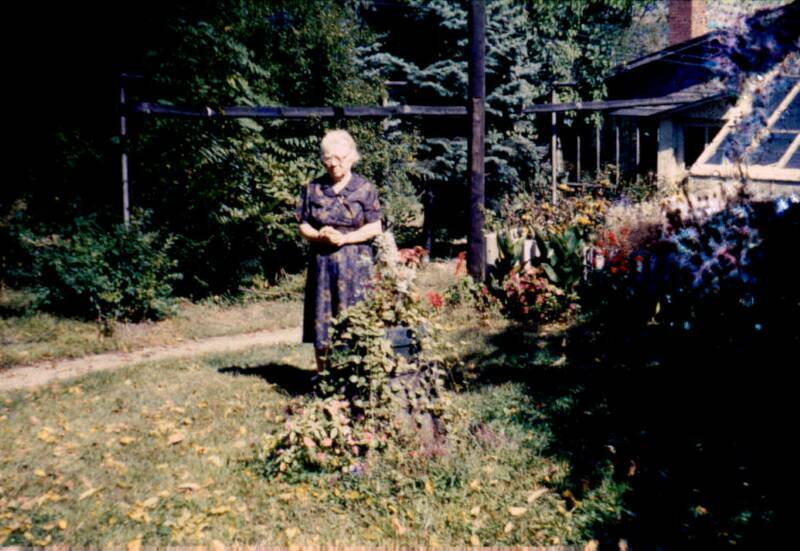 In 1957, Joe Nelson passed away leaving Ethel with the responsibility of the business. Nelson's continued with their daughter, Mary and husband, Joe Thompson running the business. Joe Thompson had been working for the Nelson's for seven years and had taken a course in 1950 at the Tommy Bright School of Design in Chicago. 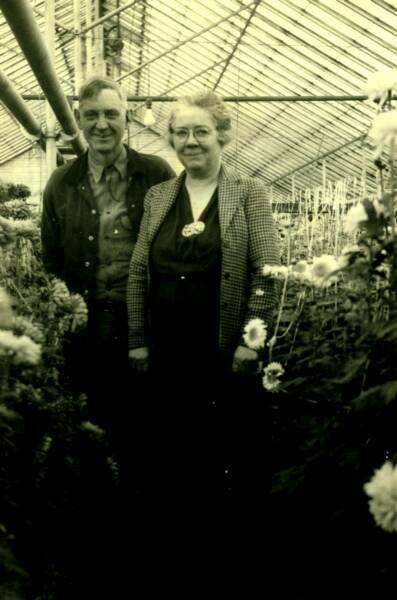 One year after Joe Nelson's death, Mary and Joe Thompson purchased the business from Ethel. 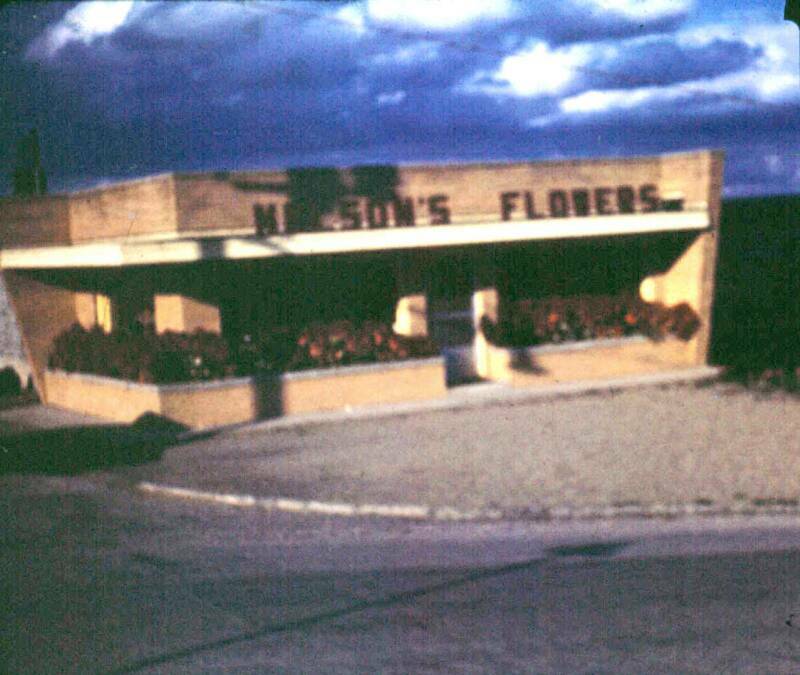 When they took over the business, the wire service FTD, which Joe Nelson was one of the earliest members, required that they build a new flower shop. The new store had to have a front room with a display cooler and many modern features. 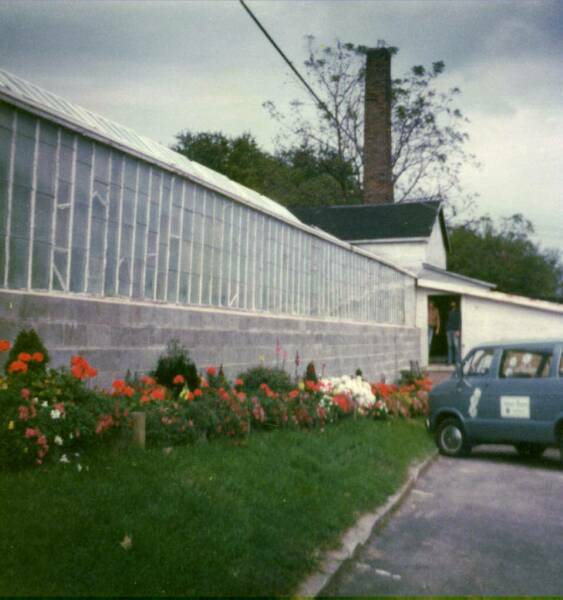 The new flower shop was built East of the greenhouse on the site of the old barn. 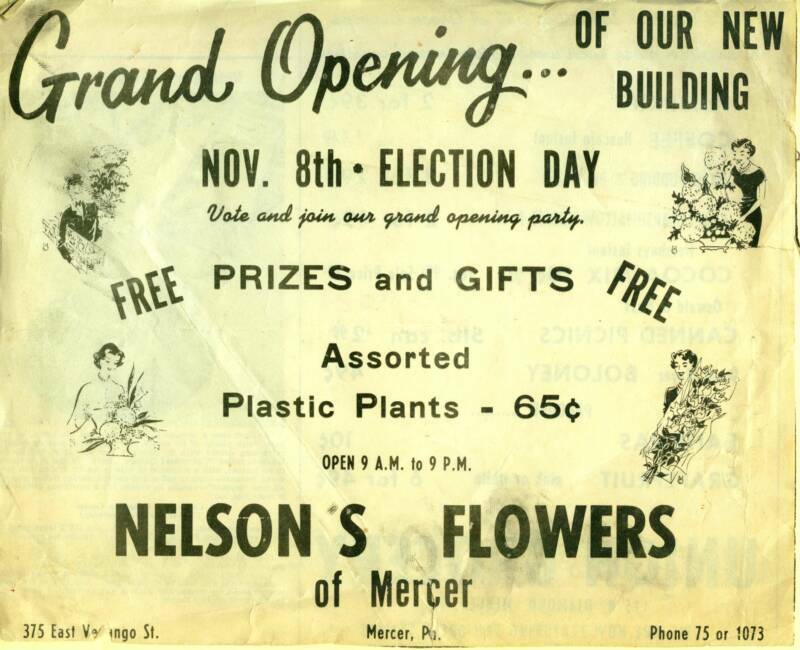 The grand opening was the same day president Kennedy was elected, November 1960. They also changed the name of the business to Nelson's Flowers. The new shop worked out very well over the years. During the time that Mary and Joe ran the business, they had five sons. As the boys got older they helped out in the greenhouses starting with pulling weeds under the benches etc. Over the years the floral business was changing with competition from more cut flowers being flown in from warmer climates like South and Central America. 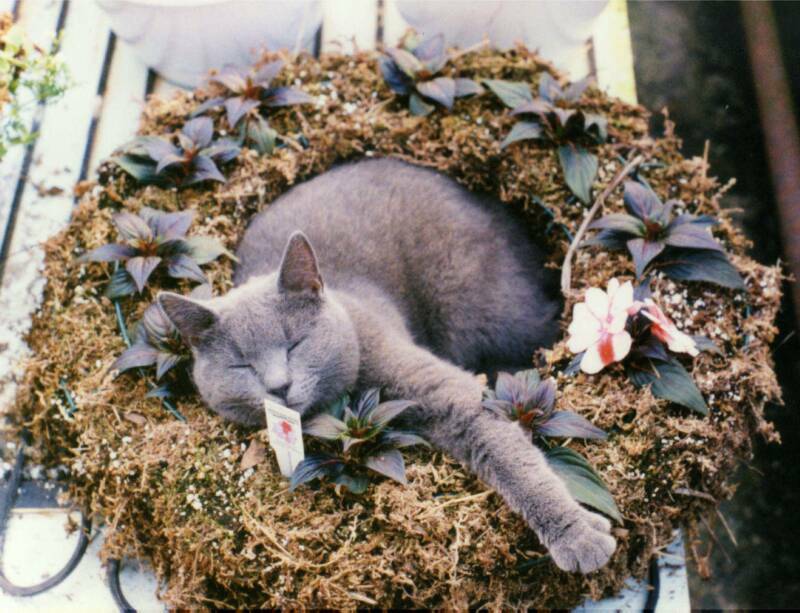 The growing popularity of spring sales for flower beds and hanging baskets, etc. changed the type of product that was filling the greenhouse. 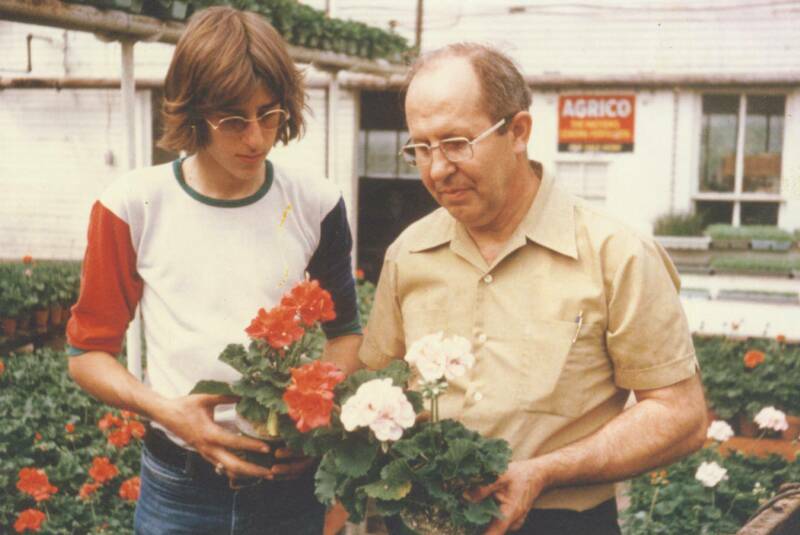 In 1984, Joe and Mary sold Nelson's Flowers to their oldest son, Randy Thompson and his wife Debbie. 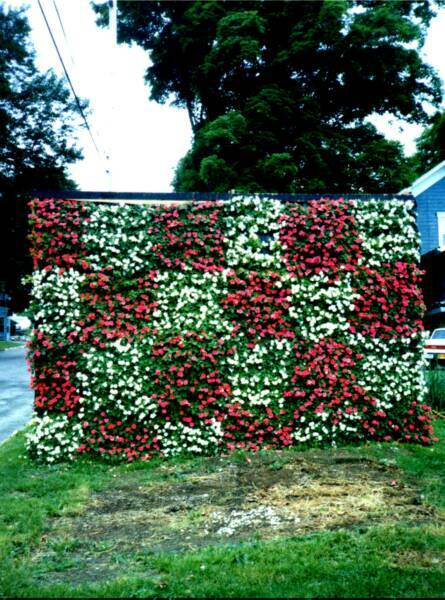 By the time Randy and Debbie took over, the industry had changed very much, no longer were the greenhouses growing cut flowers for the flower shop but were growing poinsettias for Christmas and flowering annuals for spring gardening sales. 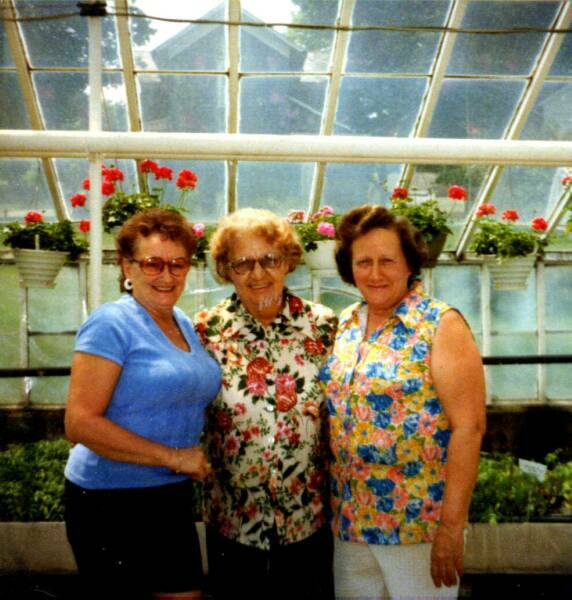 Over the years, Randy and Debbie employed three of Randy's brothers to help in the flower shop and the greenhouses. Joe and Mary would also help out, especially during holiday time. Business grew steadily. 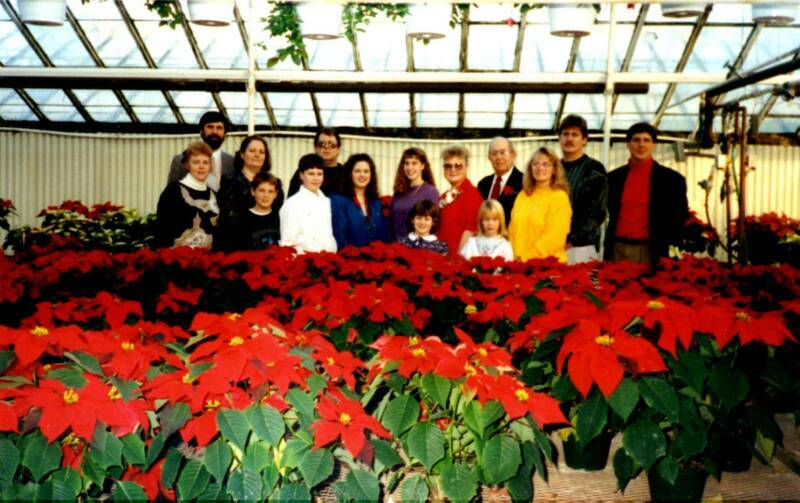 In 1999, Mary and Joe's youngest son, Steve, who was very involved in the responsibility of the greenhouse growing for Randy and Debbie took over the greenhouse part of Nelson's Flowers. 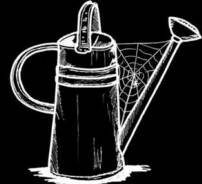 Steve differentiated the new firm with the name "Nelson's Garden Outlet". 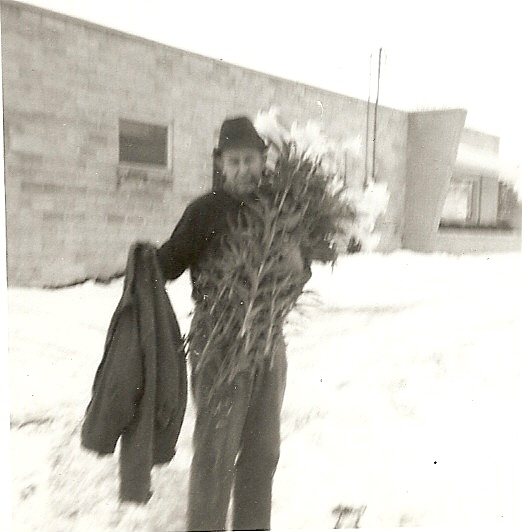 He ran Nelson's Garden Outlet from the original greenhouses on Venango Street. Nelson's Garden Outlet had two successful seasons at the Venango Street location. 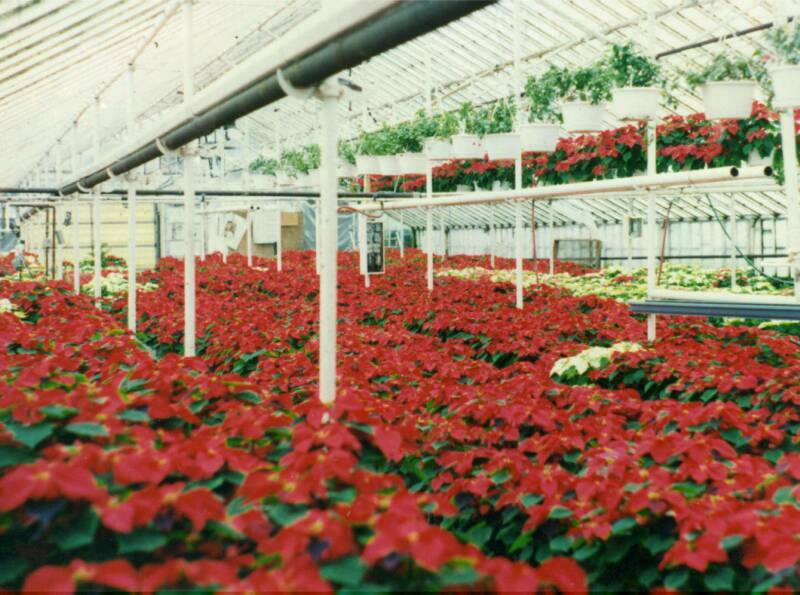 In the fall of 2000, Steve purchased Kehlbeck's Greenhouse at 542 Greenville Road in Mercer, Pennsylvania, which had formerly been Mercer Hydroponics that specialized in growing tomatoes and marketing them to local retailers. Steve, with the help of friends and family, went to work on the former Kehlbeck's Wholesale facility turning it into a production/retail greenhouse. After four years in business at this location, the name was changed to Nelson's Heirloom Gardens because of the many heirloom vegetable plants sold. Nelson's Heirloom Gardens still uses the Venango Street facility for production and Randy and Debbie still serve Mercer with floral products at Nelson's Flowers on Venango Street.